Many things stick out when you discuss Luka Doncic, and these either go for, or against him. Euroleague MVP, average athleticism, high basketball IQ, sub-par physical tools. Everyone has already memorized those parts of Doncic’s profile, enough to craft an idea of who he is in the NBA today. But here’s one thing that isn’t discussed enough when talking about the rookie; he’s a winner. Doncic’s list of accomplishments — not just his individual ones, mind you — read like a resume you’d throw when making a case for a veteran’s Hall of Fame case. He’s a three time Liga ACB champion dating back to 2015. He led Real Madrid to a Euroleague championship just this year, winning the MVP and the Final Four MVP in the process. Most important, however, is how he helped lead Slovenia to the 2017 Eurobasket championship, forming an electric duo with Miami Heat guard Goran Dragic. The cherry on the top was being included into the Eurobasket All-Tournament Team. All of this, before he even turned 20. Fast forward to the NBA, and Doncic finds himself as part of a rebuilding Dallas Mavericks franchise. He’s squashed fears of him not being able to adjust to NBA-level athleticism. What he’s had to adjust to, however, was something that involved the team and not just himself. It hasn’t been smooth sailing for Doncic and the Mavericks. They currently rank second to the last in the Western Conference, with a 3-8 record so far. It hasn’t been because of lack of talent. Aside from Doncic, the Mavericks with DeAndre Jordan and Dennis Smith Jr. have been ably producing as well. 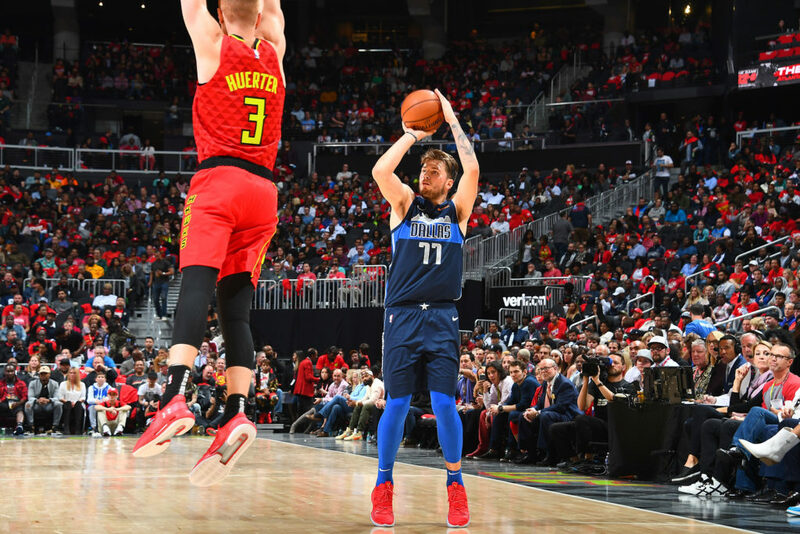 A bigger issue for the Mavericks has been lack of chemistry, with an offensive hierarchy nowhere to be found thus far. Mavericks fans have understandably felt some uneasiness because of how the team has performed so far. But if there’s one reason they need to keep on holding on, it has to be Doncic. 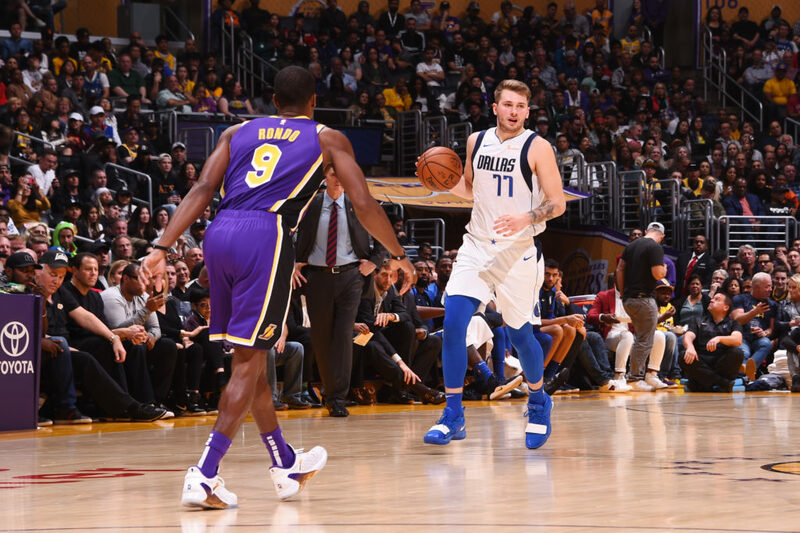 Despite the struggles of the Mavericks, Luka’s found ways to shine on his own. He’s the odds-on favorite to win Rookie of the Year, averaging 20.2 points, 6.5 rebounds and 4.2 assists for his first 11 games. His numbers so far have matched the likes of LeBron James, Kevin Durant, Oscar Robertson, and even Michael Jordan himself. The case for ROY is as strong as ever. However, Doncic has his sights set on something else. The road to the playoffs proves to be a tough one, and not only because of their record right now. He and the Mavericks also happen to play in the Western Conference, one filled with PLENTY of depth in terms of talent. There are close to zero easy games in the West. Every team you face is going to be an acid test. 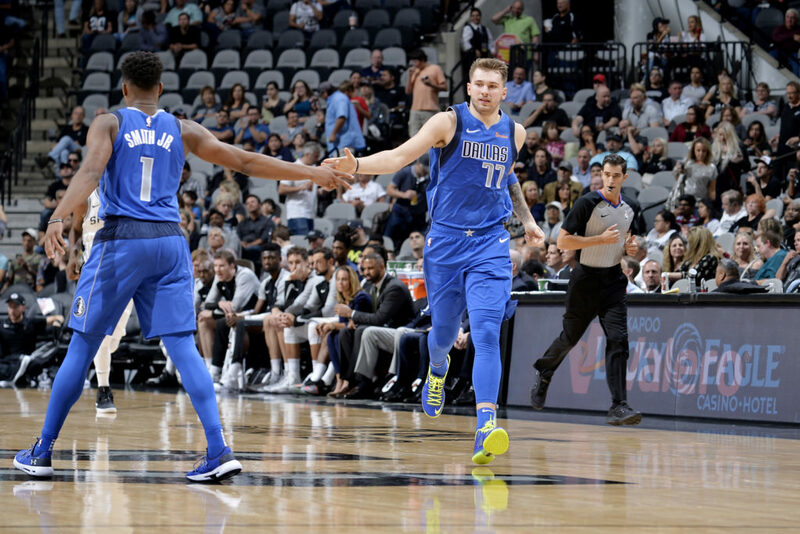 Doncic has embraced the challenge though, putting up some of his best performances against the best of the West. Versus the Spurs, he scored a career-high 31 points, while grabbing eight rebounds and dishing out four assists as well in the process. Against LeBron — A matchup he described as something special — he averted a poor first half by putting up 10 points on 3/3 shooting during the fourth quarter versus the Lakers. He’s a special talent, with IQ, composure and savvy in full display over the course of his first 11 games. But an underrated of how he operates has been his winning mentality. He just makes championship-level plays, the types that separate the greats from the rest of the pack. He has the resume to back it up. Three-time Liga ACB champion. 2018 Euroleague champion. 2017 Eurobasket champion. NBA champion? That’s a tough road he’s getting to, but it isn’t impossible. He has to make the NBA playoffs first, something he sets as his priority from the get go. Even more than winning Rookie of the Year. Because that’s how winners are.